How to solve the Lion Statue Puzzle found in the Resident Evil 2 demo. If you’re gearing up to play the new 1-Shot demo for Resident Evil 2, you may be wondering how to solve the Lion Statue Puzzle. The Lion Statue Puzzle is one of many short puzzles and activities available in the Resident Evil 2 1-Shot demo. Because players are restricted to a 30-minute timer, you likely won’t be able to complete everything. This is because, once the 30-minute timer runs out, you’re locked out of the Resident Evil 2 1-Shot demo. In order to make the most of your time, having answers to various puzzles on hand can be extremely helpful. Wondering what the solution to the Lion Statue Puzzle is? We’ve got you covered! Below, we’ll walk you through what the Lion Statue Puzzle is and how to solve it in the Resident Evil 2 1-Shot demo. 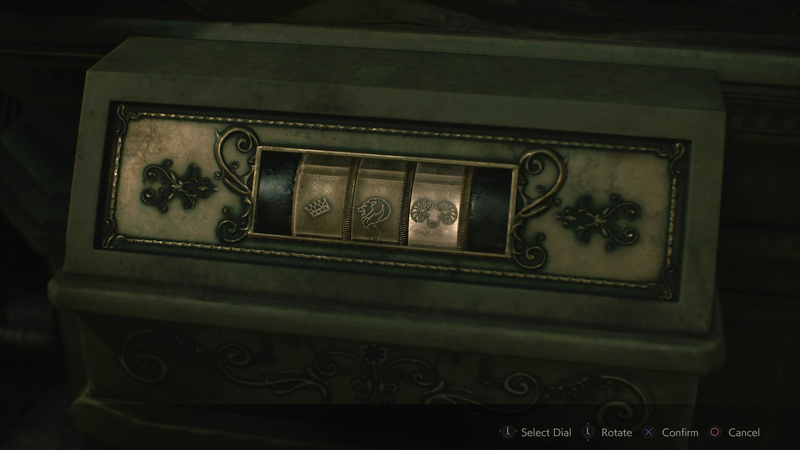 Input 3 symbols to solve the Lion Statue Puzzle in the 1-Shot demo for Resident Evil 2. In the Resident Evil 2 1-Shot demo, you obtain a notebook from a fallen police officer that contains information on how to solve the Lion Statue Puzzle. The Lion Statue Puzzle is worth solving early on as it solving it rewards you with one of three Medallions needed to unlock the Goddess Statue and secret passageway underneath the station. After scanning through the notebook and familiarizing yourself with the Lion Statue Puzzle clues, head to the main lobby of the R.P.D. station, then up the flight of stairs. Approach the Lion Statue at the top and interact with it to input three different symbols. The correct symbols from left to right are Crown, Lion, and Ram (as seen in the image above). Once you’ve input these three symbols, the Lion Statue Puzzle will activate, rewarding you with one of the three Medallions needed to unlock the Goddess Statue and secret passageway below the station. 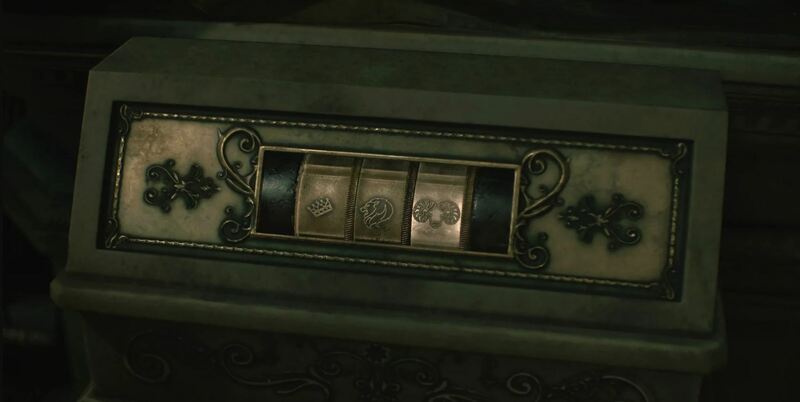 Take this Medallion and place it on the Goddess Statue, then continue on to find the other two Medallions available in the Resident Evil 2 1-Shot demo. So, were you able to solve the Lion Statue Puzzle in the Resident Evil 2 1-Shot demo? If so, how much farther were you able to get in 30 minutes? Let us know down in the comments below! For more on Resident Evil 2, be sure to check out some of our previous guides including how to get the shotgun in the Resident Evil 2 demo, the 1-Shot demo announcement for Resident Evil 2, and the news that London will get a Safe House Experience based around Resident Evil 2. By reading through this guide, you should now know how to solve the Lion Statue Puzzle found in the Resident Evil 2 1-Shot demo.